Wine country. Ahhh, the fresh air, the beautiful hills, the morning fog, the ocean breeze. Yes, wine country is sensory delight overload. 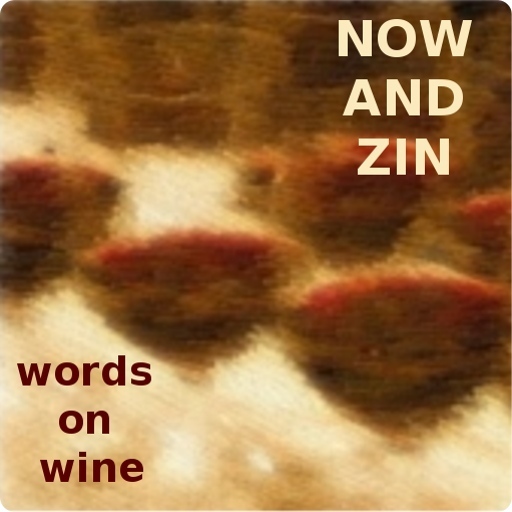 So join me, won't you, as we travel in the Now and Zin Grapemobile to the Lompoc Wine Ghetto. Hunh? Oh, you think the word "ghetto" doesn't belong with the phrase "wine country," right? Think again. And while you're thinking, watch this video from the website InWineCountry.com. The Lompoc Wine Ghetto makes up the large part of what is being billed as the Lompoc Wine Trail (hook up with their Facebook page). The Lompoc Valley is actually quite beautiful, and deserves to be known as "the Gateway to the Santa Rita Hills wine country." The Lompoc Wine Ghetto, as the name suggests, is a more down and dirty version of wine country, an industrial park where a handful of winemakers take care of the business end of the beauty. 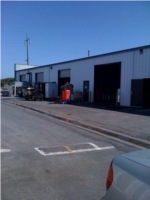 The Sobhani Industrial Park at 12th and Industrial Way is the heart of the Lompoc Wine Ghetto. It has been since the late 1990s. That's when Rick Longoria (Longoria Wines) became the first winemaker to base his operations at the industrial park. It was simply more convenient for him to get his grapes from his vineyard to Lompoc rather than the long route of going around the mountains and back into the Santa Ynez Valley. Others followed his lead and, voila! Instant wine ghetto. I've seen the LWG referred to as a "warehouse district," but that's really being kind. It's a rambling, metal building, with no adornment visible unless the winery put it there. But the more than 20 wineries that inhabit the space didn't come because it was pretty. They came because it was cheaper than using their expensive - and productive - vineyard land to house a winemaking facility. Some came because they didn't have land at all, sourcing grapes from other growers. These small producers can make their wines in a less expensive way, and since when did saving money not sound good to a small business? You might get the idea that grouping together a bunch of businesses that are in competition with one another would foster a bitter and backbiting atmosphere. That is not the case at the Lompoc Wine Ghetto. These wineries actually work together. They share equipment, keep an eye out for each other and help their neighbors when called upon. The biggest benefit, from a winemaking viewpoint, is being close enough to a host of talented winemakers to be able to learn from their experience. Peter Hunken, of Black Sheep Finds, Holus Bolus, Piedrasassi and formerly of Stolpman Vineyards says it's great to have some like-minded company around. "Especially at harvest time, when you're at the facility late at night or all night," said Hunken. "It's good to have some people doing the same thing. It's nice to have someone to talk to." Hunken not only makes wine in Lompoc, he lives there, too. "Lompoc is more business-friendly than the unincorporated areas of the county where a lot of the winemakers live," he said. If he had the choice of some nice vineyard land and Lompoc, which would win out? "Well, I'd love to have a vineyard, but the big, fancy winery isn't a necessity for me. I'm happy making wine here, and I relate to the blue-collar atmosphere in Lompoc. Besides, I'm a surfer and I enjoy being this close to the ocean." The work environment is casual, to say the least. On my first visit, I stopped in at the Sea Smoke garage door to find the crew busily filling, corking and boxing wine bottles as fast as they could grab them off the conveyor belt. Pink Floyd was blaring away as that red wine was being put into cases. Palmina, Flying Goat, Samsara, Nicolaysen Family Vineyards, Fiddlehead and La Vie are all located in the LWG, with a number of other wineries in the northwest part of Lompoc, closer to the airport. Some of the LWG's wine producers have moved west, if only a few blocks. The Central Avenue location Ampelos now occupies is in an area becoming known as the "Pinot Prison." Brewer-Clifton, Clos Pepe and Dragonette Cellars have also moved west in the city. Piedrasassi's building also houses Holus Bolus, Jelly Roll and Black Sheep Finds. It's located on Chestnut Court, a sort of extension on Industrial Way. Sea Smoke Cellars no longer makes wine in the LWG. Victor Gallegos says they now have their own "modest building behind the WalMart parking lot." Harrison-Clarke didn't just go uptown, they now have their own winery in Ballard Canyon. They still sort and press grapes in Lompoc, though. Presidio Winery has a tasting room in Solvang while Stolpman Vineyards pours in Los Olivos. Not all of these have full-time tasting rooms, so if you plan to visit a particular producer in Lompoc, a phone call or email ahead of time is a good idea.